The only things that even come close to the coolness of a fish with a saw on its face is the hammerhead shark or the swordfish. So when we found good numbers of critically endangered sawfish recently in the Northern Territory, we were pretty chuffed. 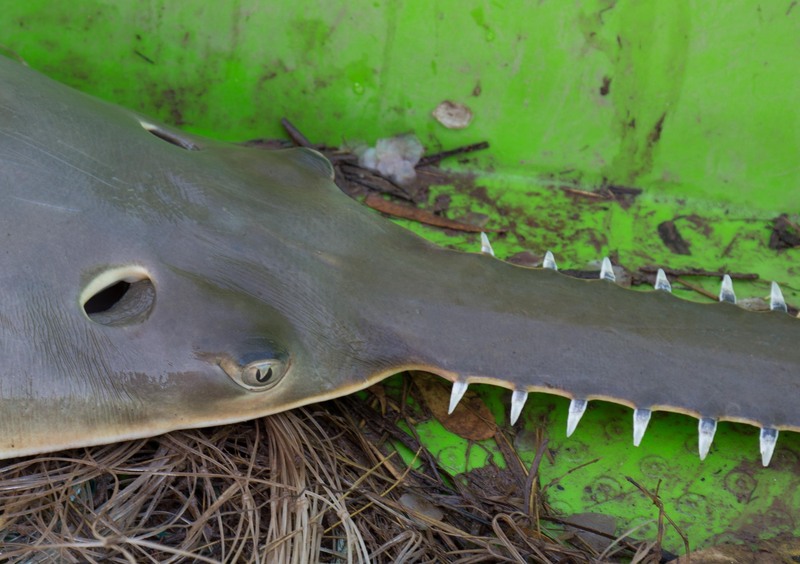 Sawfish are amongst the most endangered species on the planet. In Australia we still have a few viable populations in some remote regions but numbers have declined dramatically as a result of bycatch in commercial fisheries, indigenous and recreational capture as well as habitat modification and destruction. Having a saw for a nose can have some downsides. It means they regularly get caught in fishing nets or prawn trawls, and once they’re tangled it’s difficult to wriggle free. Sawfish also have a habit of always returning to the same area to breed that they were born in. This has resulted in distinct genetic groups that stay in one place and don’t interbreed. Not so great when your numbers are dwindling. Because their numbers are so low, we know very little about the basic biology of sawfish like how long they live, what size they can grow to or how often they breed. 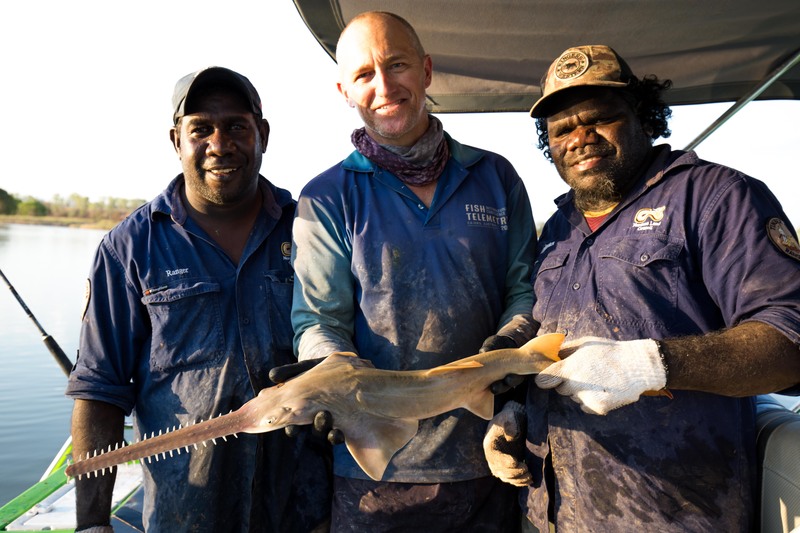 Richard Pillans, one of our researchers, has been studying sawfish for over 20 years. 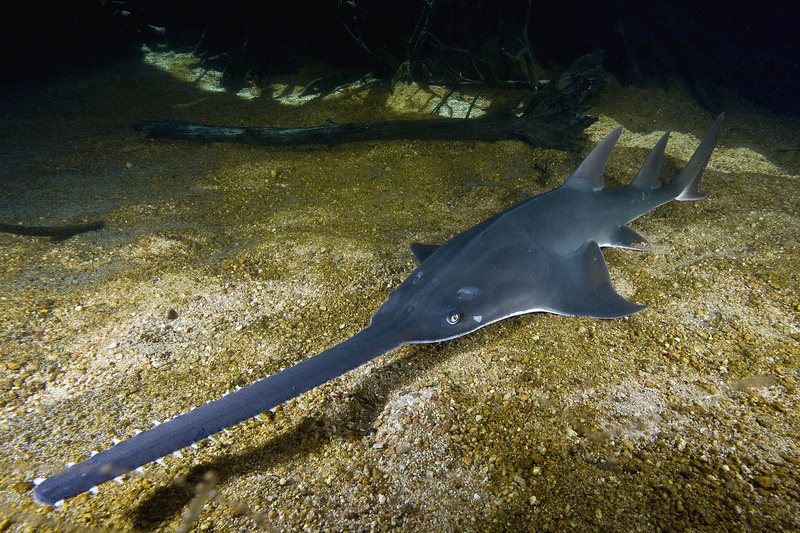 When he heard rumours that there was a healthy population of sawfish living in the Victoria River in a remote area of the Northern Territory he thought it would be just like so many other leads before – unfulfilled. But when he got there, they caught more sawfish in a week than he has in his entire career. The team captured 25 sawfish. And just to sweeten the deal further, they also discovered two other species of shark that have never before been recorded in the area – the survey provided the first records of the critically endangered Speartooth Shark and Northern River Shark in this river system. The survey was part of a bigger project we’re working on in collaboration with the Northern Land Council and the Timber Creek Rangers to establish a monitoring program in the Victoria River. 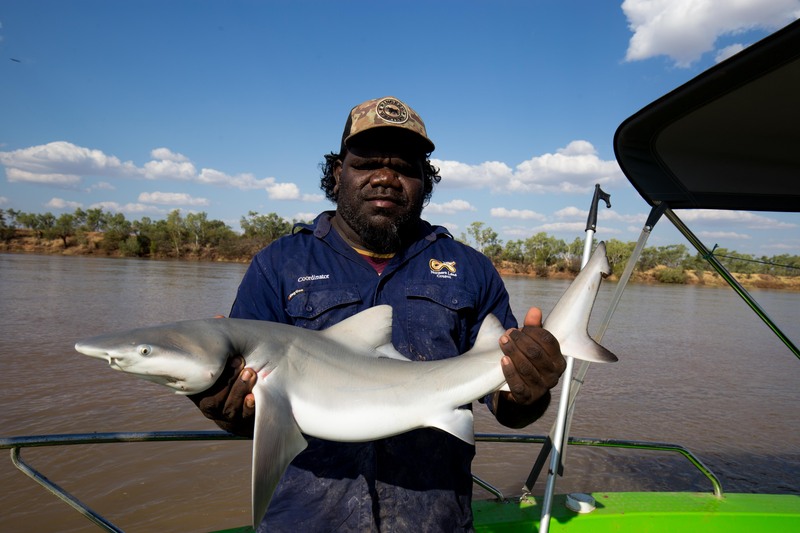 The project is designed to estimate the population of sawfish and speartooth sharks in the river as well understanding the cultural significance of sawfish to the traditional owners. The program involves training Indigenous Rangers in survey methods, capture, handling, measurement and tissue sampling of sawfish and speartooth sharks so that we can further increase our understanding of these animals. Richard says that without the support from the Indigenous rangers including their immense local knowledge, the project would just not be possible. The Victoria River is 560km long (it’s the second longest river in the NT) and there is only one boat ramp to access it. The shifting sand banks and numerous underwater rocks make the area incredibly hard to access and that’s before even trying to locate the area where the sawfish have made their home. Floyd Rogers holds a speartooth shark, the first time the species has been recorded in the Victoria River. The discovery of good numbers of sawfish as well speartooth sharks in this river system represents a significant finding and greatly improves our understanding of these endangered species. The tissue samples taken during the survey will be used to determine if the sawfish and speartooth sharks in the Victoria River are genetically distinct to populations in other rivers in Australia and will also be used to estimate population size as part of a long term study on the population status within the Victoria River. Yes save the sawfish, we need a petition started. Even if it is traditional for indigenous people to take swordfish as food, they should not be permitted to hunt them to extinction. They don’t have to do everything that other races are doing around the world. Having said that, I am a big supporter of the Indigenous Ranger Program. Please, give scientific names; There are 7 Sawfishes; (Pristiophoridae) species worldwide.